Mitsubishi Motors is focusing on cooperating with the investigations and isn't yet at a stage to think about bailout plans, said spokesman Kai Inada. 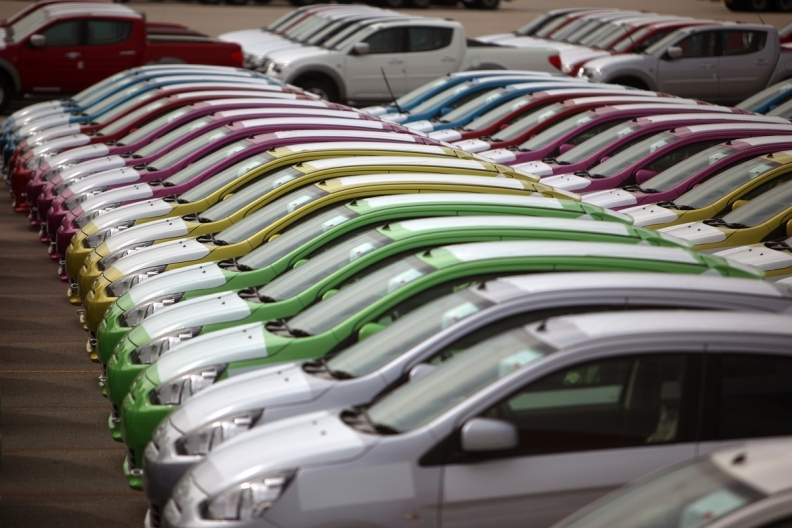 TOKYO -- Mitsubishi Motors said it will probe whether cars exported from Japan have falsified fuel economy information after the automaker admitted to manipulating data involving 625,000 cars in its home market. Mitsubishi President Tetsuro Aikawa bowed in apology at a news conference today in Tokyo as the automaker said it falsified data to make CO2 emissions levels and fuel economy look more favorable in four minicars. The cars are the eK Wagon and eK Space, as well as the Dayz and Dayz Roox supplied to Nissan, Mitsubishi said in a statement. The company said it would stop making and selling those cars, and has set up an independent panel to investigate the issue. "Taking into account the seriousness of these issues, we will also conduct an investigation into products manufactured for overseas markets," the automaker's statement said. Mitsubishi's manipulation of tests will further intensify scrutiny of the auto industry after Volkswagen Group's admission last year that it rigged diesel models with software to meet U.S. standards for NOx emissions. NOx emissions are toxic while CO2 emissions are linked to fuel economy and are blamed in part for climate change. The company said the test manipulation involved vehicles produced since mid-2013. Mitsubishi said it has sold 157,000 thousand units of the eK Wagon and eK Space and supplied 468,000 of the Dayz and Dayz Roox to Nissan from 2013 to the end of March this year. Nissan, which discovered the discrepancy in the data, has suspended sales of the DayZ and DayZ Roox models until Mitsubishi provides further clarification, said Jonathan Adashek, a Nissan spokesman. Mitsubishi is suspected of manipulating the load placed on the tires of four different models in order to make their fuel economy performance appear better, Kyodo news reported, citing an unidentified person. Mitsubishi’s disclosure risks doing further damage to consumers’ trust in car companies’ fuel economy claims. Hyundai and Kia agreed to pay fines and forfeit emissions credits in late 2014 to settle U.S. claims they overstated mileage ratings. Ford lowered ratings for hybrid models in both 2014 and 2013. Mitsubishi has been seeking to restore confidence in its vehicles for more than a decade after a series of scandals led the carmaker to seek multiple bailouts from Mitsubishi group companies. Mitsubishi had covered up defects involving flawed axles that could lead wheels to detach. In 2000, Mitsubishi revealed that it covered up safety records and customer complaints. Four years later it admitted to broader problems going back decades. It was Japan's worst automotive recall scandal at the time. "It's again bad for the company’s image," Sugiura said. "It’s not the first time for Mitsubishi to have this kind of issue, and this definitely won’t help them rebuild their reputation." Mitsubishi sold just over 1 million cars last year. The company's shares slumped more than 15 percent today, wiping $1.2 billion from its market value.